Improve the health of your plants by reducing the levels of chlorine and chloramine from your water. City water is treated with chlorine to kill bacteria. When chlorine is introduced to your garden, it is killing beneficial bacteria that keeps your soil healthy. This is a serious problem in hydro and aeroponic gardening systems where water is directly in contact with the root system. 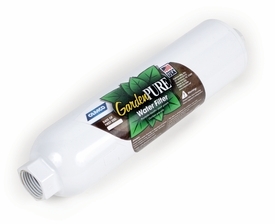 Camco’s GardenPURE Carbon Water Filter easily attaches directly to any standard water hose connection and will safely and effectively reduce levels of chlorine, chloramine, aluminum, heavy metals, hydrogen sulfide, lead and mercury in the water as it flows through it. 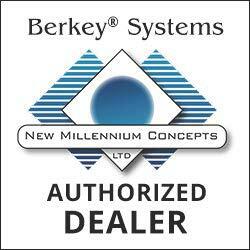 For best results restrict the flow of water to 1 gallon per minute. Also great for your pet’s drinking water, livestock, houseplants and compost tea. Not designed for fish tanks or ponds. No testing has been done for this purpose. Made in the USA.